Hello everyone, welcome to our Lessons section for Harry Potter: Hogwarts Mystery – Year One. Here you can find information about all the lessons available to you in Year One of your Hogwarts studies. In this year, you can learn Charms, Potions, and Flying. Each lesson contains a detailed explanation, including the Chapter in which you can learn it, as well as some of its applications in game. 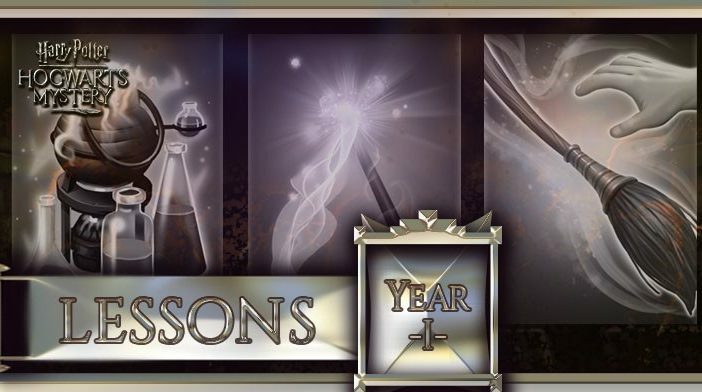 Since this is your first year, most of the spells and lessons you'll learn are pretty basic and as you progress through the game, you'll eventually unlock additional lessons featuring some of the most powerful spells, some very useful potions and some really tricky flying maneuvers that will surely come in handy on your adventures. Each of the lessons is tied to the specific chapter, but you'll have the freedom to choose whether you want to complete it at the start of it or later on, after completing the story tasks for that chapter.